Since more than a decade, venturelab runs the “Swiss National Startup Team” program called venture leaders with international roadshows to the Silicon Valley, Boston, New York, China (Hong Kong, Shanghai, Shenzhen, Beijing) and South Africa. The venture leaders fintech have now joined Technology, Life Science and China 2017 selections. 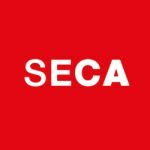 The 10 selected entrepreneurs reflect the acceleration of the Swiss fintech scene in the recent years and the impressive quality of its startups. The intense journey took place from September 10 to 16 in New York. The roadshow offered an accelerated learning curve and a solid network through exchanges with their peers in the team, as well as market exposure, pitching to investors and experts, and hands-on business development. 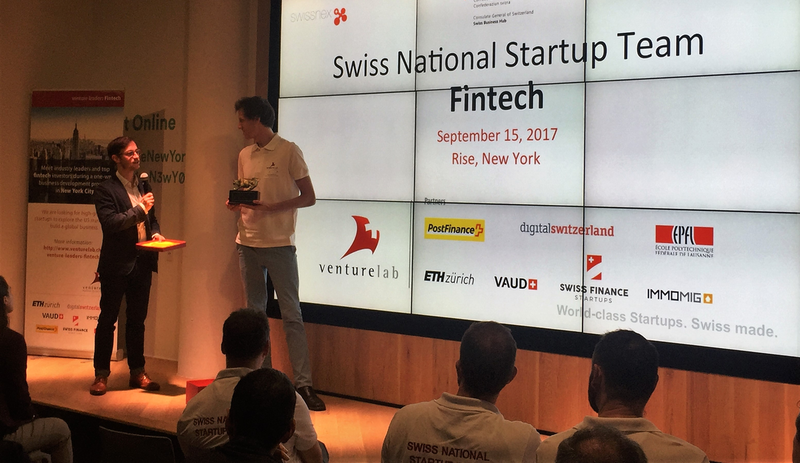 Not only did they attend Finovate, the largest Fintech conference, but also met with several US investors and had an open demo night, to show the New York audience that Switzerland does not need to hide when it comes to the quality of its startups. Patrick Barnert, CEO of Qumram, one of the ten startups participants, comments: “the venture leaders Fintech week in New York was tremendous valuable to Qumram and myself. We as organizations and single individuals learned and evolved in improving our business and skills.” Teddy Amberg, Partner at startup CreditGate24 added, that “the roadshow allowed to demonstrate the quality and innovation of our Swiss companies and innovations to a global crowd at the Finovate conference”. This roadshow was supported by PostFinance, digitalswitzerland, EPF Lausanne, ETH Zurich, Canton of Vaud, Swiss Finance Startups and Immomig. "The venture leaders roadshow is a great chance for startups to network and pitch to investors in New York. To me it was very interesting to get to know the entrepreneurs behind the startups and have a deeper insights into their startups." says Jens Schulte, Head of Corporate Ventures at PostFinance, who accompanied the group. digitalswitzerland supporter, Barbara Stamm from Ringier, decided to join the week in New York. “I find it extremely interesting to see, how the startups have changed and become more professional in just one week. It’s great that they are doing these steps together, as a team, and not as competitors”, so Stamm.